On the edge of town, renovated family home with a cute cottage in need of a renovation to create a 'maison d'amis' or bijoux rental unit. Magnificent property offering 7 hectares of land, nestled on the edge of a pretty little village. 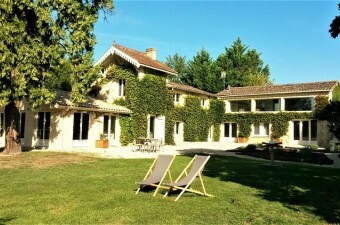 This property dates back to the 18th century and is surrounded by beautiful gardens and a pool. Magnificent property with architect's house with pool, pool house, garage and much more, in a quiet setting but not isolated.